All writers need a helping hand now and again – and having the best tools at your fingertips can make a huge difference. I’ve picked my favourite tools that will work for almost all writers – whether you’re a blogger, a novelist, a freelancer, or (like me) a bit of everything. Four tools to help you focus when you’re writing – for many writers, this is the biggest challenge! Four tools to help you store your writing safely (and collaborate with others, too). Two nifty tools you’ve almost certainly not come across before. Of course, I’d love to hear about your favourite tools too – feel free to leave a comment below. Note: I’ve tried to avoid having much overlap with my list of tools to help you write the perfect essay, so you might want to take a look at that too (particularly for suggestions of tools that’ll help you edit). These four tools are all ones that’ll help you stay on task with your writing. In a world of distractions, it can be surprisingly difficult to just sit down and write. While I generally like listening to Metallica while I write, sometimes I want a slightly more chilled-out vibe. Most writing apps come with lots of extra options, in menu bars or sidebars. There are plenty of online tools, though, that offer a “distraction-free” writing environment – and Zen Pen is one of the best options. 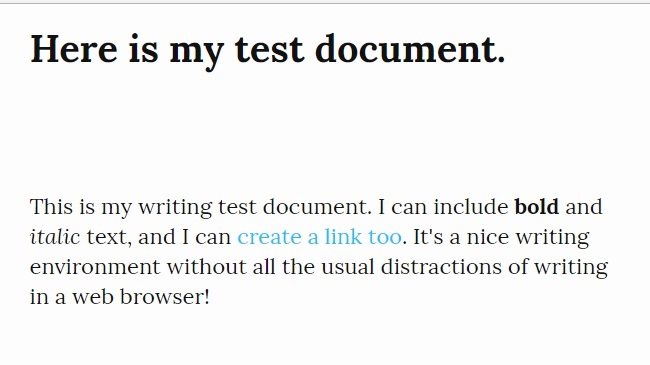 In Zen Pen, you can do some minimal formatting (bold and italic text, and links) by highlighting text and clicking a button on the tiny menu that pops up. If you’re writing, say, a blog post, this is very handy … but non-intrusive. 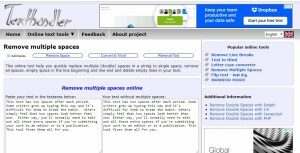 You can save your work (in HTML, plain text, or Markdown), or you can simply copy and paste it into a wordprocessing program or your blog editor – the formatting should remain intact. Tip: If you prefer to write offline, try Dark Room (for Windows): I used it to draft the whole of my first novel. It’s a distraction-free plain text writing environment, and comes in a fetchingly retro green-on-black – you can change the colour scheme under Edit à Preferences, though, if you prefer something different. I’ve tried a bunch of different time-trackers over the years, and RescueTime is the one I keep coming back to. As well as the online interface, you’ll need to install the app on your computer (or other devices, if you want to track your time in multiple places). It’ll record exactly how long you spend on different activities – including tracking specific websites, so you can see where your time is going. Tip: The premium version of RescueTime gives you a lot more features – for instance, it allows you to track and label time you’ve spent away from the computer. For most writers, though, the free version is a great way to become more aware of your habits and how you’re spending your time. If you spend too much time staring at the screen, trying to come up with the perfect sentence, then Write or Die is for you! If you stop writing for too long, your screen turns red and it plays a horrible squeaking/screeching noise – a great incentive to start typing again. There a definite gamification vibe going on here, with a “Leaderboard” of top writers (each identified only by their auto-generated username). 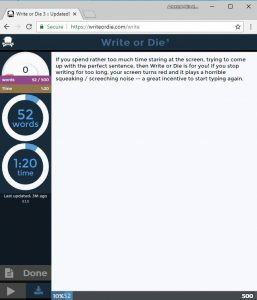 You can even set Write or Die to “Kamikaze” mode, where it’ll start deleting your words if you stop typing for more than a few seconds (don’t worry, it deletes them quite slowly and it stops as soon as you begin typing again). The homepage of the Write or Die website has a lot going on: all you need to do to get going with your writing, though, is to click the “Ready” button on the bottom left. Tip: If horrible noises and a bright red screen are more terrifying than motivating for you, you can also use Write or Die in “reward” mode, where you get regular pictures of kittens and encouraging purrs. There are plenty of online tools that you can use to store your writing … or even to publish it. These are a few of my favourites. As a freelancer, I use Google Docs a lot: several of the blog editors I work with want my posts as a Google Doc. This allows them to work on the post as a team – often, one person will do edits, another will source images and format the post, and so on. 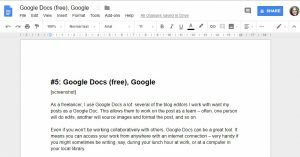 Even if you won’t be working collaboratively with others, Google Docs can be a great tool. It means you can access your work from anywhere with an internet connection – very handy if you might sometimes be writing, say, during your lunch hour at work, or at a computer in your local library. Tip: Chances are, you already have a Google account (maybe you created it to use for Chrome or YouTube, or your Android phone). If you don’t, you can create one here. If you have a lot of different writing ideas, plans, checklists, and so on … Evernote is a great place to store them. I use it for almost everything: my blogging content calendar, lists of blog post ideas, the next steps I need to take with marketing my novel, writing my short newsletter articles, and more! With Evernote, you can create multiple “notebooks” to hold your content (though the search feature is very helpful and I don’t tend to bother filing my notes very assiduously). Notes can include all the formatting you’re likely to want – and you can even include images or video. You can sign into Evernote from any device using the web interface, and you can install the Evernote app on your computer / tablet / phone so you can read and write notes offline. You can also share notes with other Evernote users – or email them to anybody, direct from Evernote. Tip: If you want to use the Evernote app on more than two devices, you’ll need to pay to upgrade to a premium account. However, if you’re happy using the web interface, you can login from as many extra devices as you want for free! 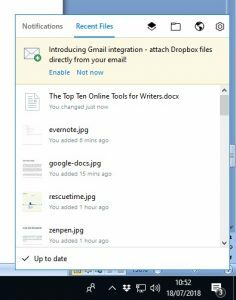 #7: Dropbox (free), Dropbox, Inc.
Dropbox lets you store your files on your computer and in the cloud, painlessly syncing them whenever you save anything into your Dropbox folder. It’s a really easy system to use – and you can share Dropbox folders with other people. It works with any type of file – I keep all sorts in my Dropbox folder, from baby photos (.jpgs) to blog posts (.docx) to Scrivener files (.scriv). Obviously, you’ll need the right software on your computer/device to actually open the files. You can access Dropbox from any computer by signing in on the web, so even if you’re travelling, you can still get all your files. Plus, if your computer suddenly dies on you – you won’t lose all your files. Tip: If you install the Dropbox app on your computer, saving your files to Dropbox is very simple: just save them as normal, into the Dropbox folder. (You can create as many subfolders as you want.) Dropbox is basically the equivalent of a “My Documents” folder for me. You’ve probably heard of WordPress … and it’s a great tool for many different writers. You don’t necessarily have to be a blogger in order to use WordPress: you might want to use it to create a simple one-page website, for instance. I rarely write straight into WordPress – I prefer to draft in Word or Evernote – but there’s no reason not to. If you’re working from several different computers, you can easily login to WordPress and carry on with a draft post wherever you left off. There are plenty of other blogging platforms out there, of course – but having tried a few, I definitely feel that WordPress is the best. Tip: There are two types of WordPress: hosted (WordPress.com) and self-hosted (WordPress.org). If you don’t want to register a domain name and pay for your own hosting, WordPress.com will suit you best; if you want lots of features and full control, go with WordPress.org. 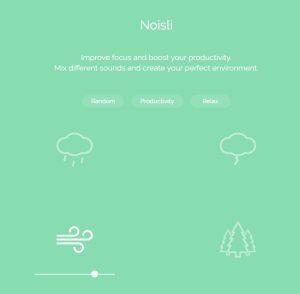 Finally, I wanted to share two nifty little tools that you almost certainly won’t have heard of – but that you might find yourself growing to love. Texthandler is a simple tool that can help with some common and frustrating editing tasks, particularly if you’re preparing lengthy documents – like a book manuscript – for publication. Do you put two spaces after each period by habit (even though you know it’s not the accepted modern style)? If so, just write in the way that comes naturally, then use Texthandler to strip out all those double spaces and replace them with single spaces. It’s super-fast! Texthandler can do a lot more, too, like removing line breaks that have appeared in the middle of paragraphs – a very common issue when you’re trying to copy and paste from a .pdf. Tip: Texthandler is a fairly bare-bones tool, and it may take you a few minutes to figure out the right options to use for what you’re trying to do. If you don’t get the results you expected the first time round, try selecting / checking different options beneath the box where you paste your text. 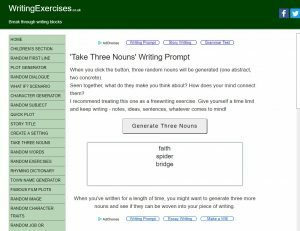 I co-ordinate a (rather sporadic) writing group, and quite often, we use this tool for group writing exercises. It’s a fun way to come up with writing prompts, and it works easily on my phone, so I don’t need to prepare anything in advance. Simply click the button, and use the three nouns you get to write a story – or a poem, a blog post, or whatever else you want to work on. If the words you get don’t inspire you at all, click the button again to get fresh ones. Which of these tools do you need in your writing life? Give them a go today! If there’s a different tool you love, just let us know in the comments below. I find most prompt websites to be garbage – either they give you way too much or way too little. I’ll give the Take Three Nouns one a go. Write or Die sounds cool but I think the stress would finish me off.